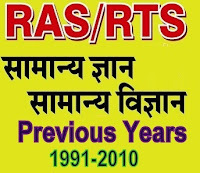 Rajasthan Admin Services (RAS/RTS) PRE Examination Solved Question Papers of year 1996 for General Knowledge(GK) and General Science held on 27-October-1996. A. The local Rajput rulars did not support revolutionary. D. News papers coul not project the true aim of revolutionary. The answer to question 62 should be B i.e. 2 neutrons and 2 protons.The stable isotopes (nuclei with different mass numbers) of helium are helium-3 (2 protons + 1 neutron), which is a very rare form, and helium-4 (2 protons + 2 neutrons), the most common form.